nitrogen, in the form of urea, in the blood; the most prevalent of nonprotein nitrogenous compounds in blood; blood normally contains 10-15 mg of urea/100 mL. Measurements in the laboratory are commonly used as a measure of renal function. a measure of the amount of urea in the blood. Urea forms in the liver as the end product of protein metabolism, circulates in the blood, and is excreted through the kidney in urine. The BUN, determined by a blood test, is directly related to the metabolic function of the liver and the excretory function of the kidney. Normal findings (in mg/dL) are 10 to 20 for adults, 5 to 18 for children and infants, 3 to 12 for newborns, and 21 to 40 for cord blood. In the elderly, the BUN may be slightly higher than the normal adult range. 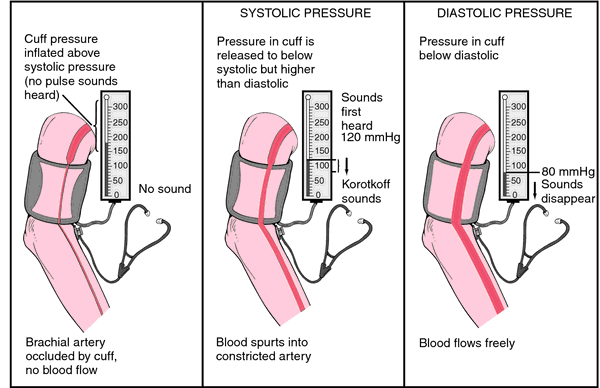 A critical value of 100 mg/dL indicates serious impairment of renal function. Also called urea nitrogen, serum urea nitrogen. See also azotemia. Compare creatinine. A metabolic byproduct from the breakdown of blood, muscle and protein, which is a measure of the urea level in blood. Early kidney damage, dehydration, congestive heart failure, GI bleeding, starvation, shock, urinary tract obstruction (by tumour or prostate gland). Nitrogen, in the form of urea,in the blood; the most prevalent of the nonprotein nitrogenous compounds in blood, which normally contains 10-15 mg of urea/100 mL. Canadian clinicians often use the shortened form urea nitrogen. Nitrogen, in the form of urea, in the blood. n the nitrogen in the form of urea in whole blood or serum. Its concentration is a gross measure of renal function. The upper limit of the normal range is 25 mg/100 ml. 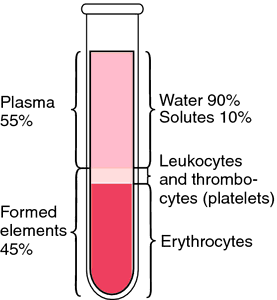 A 6-8 ml blood sample was collected in disposable syringes from peripheral vein which was allowed to clot for 25 to 30 mints at room temperature (37degC), then centrifuged at 3000 RPM for 3 minutes and clear serum obtained was poured in tubes and kept frozen at -20degC for estimation of serum creatinine, blood urea nitrogen and serum calcium levels. Blood urea nitrogen (BUN) is used to determine the amount of urea nitrogen present in the blood at a given time (Kee, 1994). In another study involving steers and heifers grazing warm-season grasses at Gainesville, Florida, Hammond and colleagues pinpointed 9 to 12 milligrams of blood urea nitrogen per deciliter of blood as a turning point for balanced feeding programs. Effect of amino acids supplement on blood glucose and blood urea nitrogen of early lactating Nili-Ravi buffaloes. Blood Urea Nitrogen (BUN): Urea is a break-down product of protein metabolism (Washington and Hoosier 2012). The current study was designed to determine the values of these biomarkers in patients with different levels of renal functions and find out the correlation between serum and urinary b2 Microglobulin, serum and urinary creatinine, blood urea nitrogen and creatinine clearance in patients with different levels of renal function. Similar blood urea nitrogen (BUN) concentrations across all diets indicate efficient utilization of N[H.
Blood samples were analyzed for plasma glucose, blood urea nitrogen (BUN; Bull et al. During treatment, 18% of patients gained weight, 13% lost weight, and 10% had high blood urea nitrogen, Dr. The Piccolo MetLyte Plus CRP Reagent Disc, used with the Piccolo xpress chemistry analyzer, is intended to be used for the in vitro quantitative determination of C-reactive protein, chloride, creatine kinase, creatinine, glucose, potassium, sodium, total carbon dioxide and blood urea nitrogen (BUN) in heparinized whole blood, heparinized plasma, or serum in a - clinical laboratory setting. These tests measure the presence of a dozen or more substances, including blood urea nitrogen (BUN) and creatinine, chemicals that are normally found in excreted urine. In addition to smears, other necessary diagnostic laboratory tests include complete blood count to identify anemia and/or thrombocytopenia, liver function tests to assess the degree of hemolysis and liver function impairment, glucose, blood urea nitrogen and creatinine, and urinalysis.